A prominent cardiothoracic surgeon is suing St. Charles Health System under the Americans with Disabilities Act, alleging the health system fired him in November because of his mental impairment. Dr. John Blizzard, whose sudden departure caused heart and lung surgeries to be temporarily diverted to Portland, seeks more than $14.5 million in federal court. He says St. Charles failed to accommodate his disability, discriminated against him and unlawfully required him to undergo psychological testing. Ultimately, Blizzard’s complaint alleges St. Charles fired him on Nov. 5 because of behavioral issues stemming from the disability. Lisa Goodman, a spokeswoman for St. Charles, said the health system does not comment on pending litigation. St. Charles declined in November to disclose the reason for Blizzard’s departure. At the time, he was St. Charles’ only full-time cardiothoracic surgeon. Two other surgeons worked at the hospital part time. Greg Lynch, one of two attorneys with the Bend law firm Miller Nash Graham & Dunn LLP representing Blizzard in the case, said conflicts with fellow staff members preceded the surgeon’s termination, but he declined to describe the incidents in detail. “The unfortunate and completely avoidable circumstance that precipitated this lawsuit will negatively affect a significant number of people, including patients and staff,” Lynch said. Before his departure, Blizzard was among the hospital’s highest paid employees. In 2014, the most recent year for which tax documents are available, his base salary was about $942,000, and his total compensation, including things like retirement pay and other benefits, surpassed $1 million. According to Blizzard’s complaint, St. Charles recognized the surgeon was having interpersonal problems as early as 2008. In 2013, the complaint alleges, the health system required he undergo a psychological evaluation or face discipline. Following “intensive evaluations,” psychologist William Pace from Golden Valley, Minnesota, determined Blizzard had mental impairments that limited, among other things, his ability to interact with others, regulate emotional responses, maintain relationships and deal with personal and professional stress, according to the complaint. Lynch declined to say whether Pace provided an official diagnosis or diagnoses following his evaluation. Blizzard’s complaint says both Pace and Dr. Kent Neff, of Portland, whose website describes him as an expert on managing disruptive behavior, determined Blizzard was still fit to fulfill his duties as a cardiothoracic surgeon. The complaint alleges Pace recommended St. Charles obtain a behavioral coach who could help Blizzard improve his ability to interact with others and regulate his emotional responses. Pace also allegedly recommended the health system host regular meetings to evaluate Blizzard’s performance. 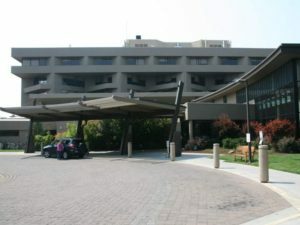 Blizzard’s complaint says not only did St. Charles fail to implement those recommendations, the health system withheld from Blizzard the results of his psychological evaluation and its recommendations, while at the same time increasing his stress level by having no other full-time cardiothoracic surgeons on staff. The lawsuit says St. Charles violated its own medical staff bylaws by failing to provide Blizzard a letter notifying him of any noncompliance with rules, regulations or clinical protocols. It also accuses the health system of violating its own policy of engaging in a process of informal discussions and counseling to resolve physician qualification issues. At the time of Blizzard’s termination, the lawsuit alleges the health system was “well aware” that Blizzard’s behavioral issues were the product of his disability. Blizzard’s lawsuit seeks $1.5 million in past and future economic damages, including lost wages, and $3 million for emotional distress, mental anguish, embarrassment and damage to his reputation. The complaint warns that those amounts could increase over time. It also seeks $10 million in punitive damages and for Blizzard to be reinstated to his former position with full back pay and benefits. It also seeks reimbursement for attorney, expert witness and litigation expenses. The lawsuit also seeks to preclude the health system from subjecting Blizzard or other similarly situated employees from unlawful employment discrimination in the future. St. Charles announced in April it had hired Dr. Matt Slater, previously director of Oregon Health & Science University’s complex value program, to fill the position formerly held by Blizzard. Before Slater assumed his role, Dr. Angelo Vlessis, another cardiothoracic surgeon who worked part time in Bend and part time at OHSU in Portland, took over Blizzard’s full-time duty. St. Charles diverted four urgent surgeries — two heart surgeries and two lung surgeries — to Portland between Oct. 31 and Nov. 10, when the surgeries resumed. Other nonurgent procedures were rescheduled. Blizzard received his medical degree in 1989 from the University of Mississippi and performed residencies at Emory University and East Tennessee State University, according to the Oregon Medical Board. He completed his cardiovascular fellowship at OHSU in 1996. His state medical license remains active, and the board’s website lists no disciplinary action. Dr. Pamela Wible, a primary care physician in Eugene who advocates for awareness of mental illness and suicide among physicians and other medical professionals, said cases like Blizzard’s reinforce physicians’ fear of losing their jobs if they’re open about their struggles. There’s a misconception that the ADA only applies to workers at companies like Toyota or Wal-Mart, and not hospital employees, residents, medical students and even cardiothoracic surgeons, Wible said. “Just because you’ve got some high-level degree doesn’t mean you don’t need the ADA to come to support you when you’re being discriminated against, if that’s the case,” she said. What about a patients right to informed consent. Never would have let him operate on my husband had the hospital informed us thsre was an issue. My hhsband deserved the doctors full attention. He certainly didnt get it. Took him 3 years to die with no quality of life. St. Charles fired Dr. Blizzard 4 months after his surgery when they knew this man had issues in 2013. We had no idea till just recently.will be contacting an attorney.